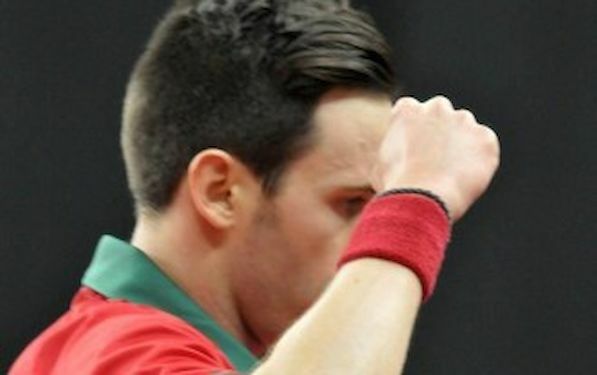 Before Beijing 2008, Joao MONTEIRO became the first player from Portugal to qualify for Olympic Games. Also he achieved the best ratings ever for a Portuguese player in the World and European rankings, before he become a part of Portugal’s biggest team’s success at the European Championships in Lisbon last year. At the DHS Europe Cup in February 2014 MONTEIRO played in the semis, and once again he will be the part of the elite in Baku. Joao is seeded at the position no. 14 at the 2015 NN Table Tennis Club ITTF – Europe Top 16. “My shape since the beginning of the season is good and I hope I can get even better for the TOP 16. I feel good and I hope to be able to fight for winning every single match I play,” said MONTEIRO. The players listed for the Baku are the best Europe can offer. With Dimitrij OVTCHAROV, Timo BOLL, Vladimir SAMSONOV, Tiago APOLONIA, Panagiotis GIONIS, Andrej GACINA, Robert GARDOS, Bastian STEGER, Steffen MENGEL, Kristian KARLSSON, Simon GAUZY, Adrien MATTENET, par GERELL and host representative Fahrad ISMAYILOV spectators can looking forward great matches and fierce battles. “I played already against all players that will be on duty at Top 16. So far, I had never won against Timo BOLL, but against all the others I already succeeded at least once. In theory the first 4 seeds are the favourites but I think now the level is even between almost all the players. On a good day everybody can win I believe”. Portugal team took European crown by storm, but that seamed to be only beginning. “I won European Champions title last September in team’s Event. That was a moment that I will never forget. It happened for a first time for us and also we were playing in front of our fans in Portugal. In the World Cup I was 3rd also with Portugal, it was first time we played World Cup and we proved one more time our place among the best in the World. Now with my club we are fighting for the semi final in European Champions League,” explained MONTEIRO.